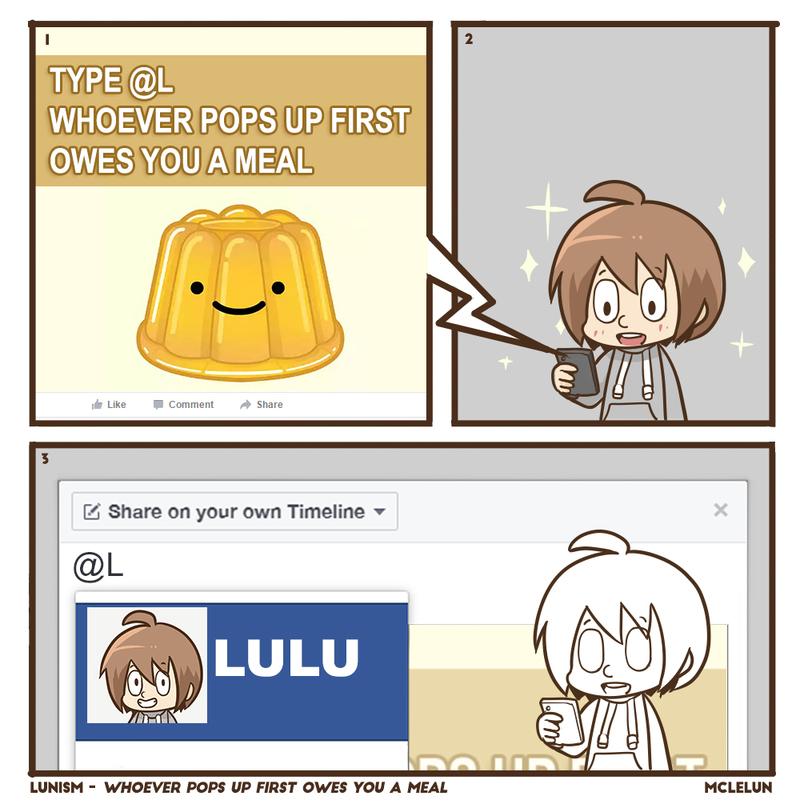 Type @ whoever pops up first owes you a meal. Saw a lot of these post in facebook recently. I try using my old name, and it is possible that your name will pop up first.